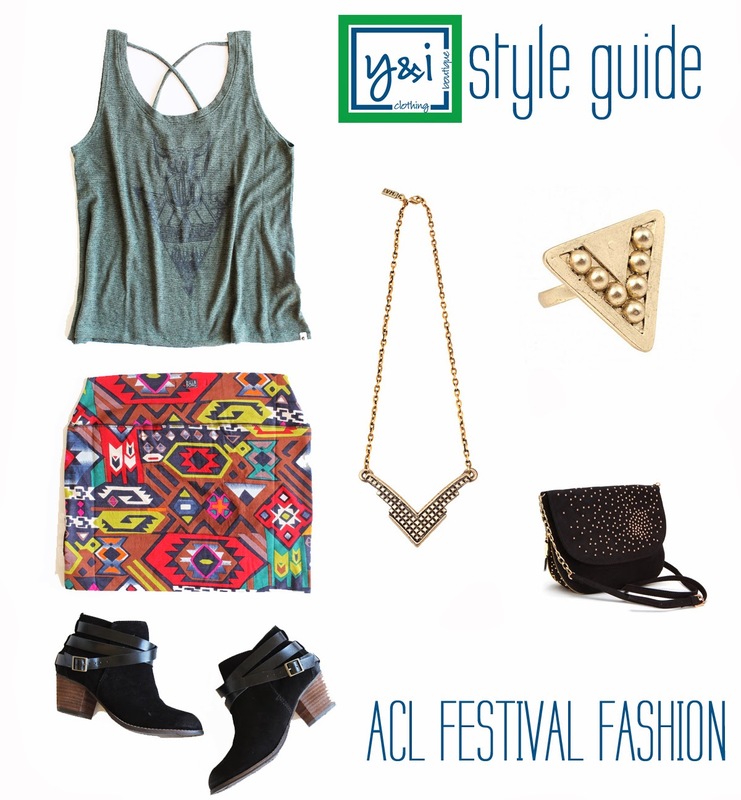 The y&i Blog: ACL Festival Fashion Guide | Shop the Look! 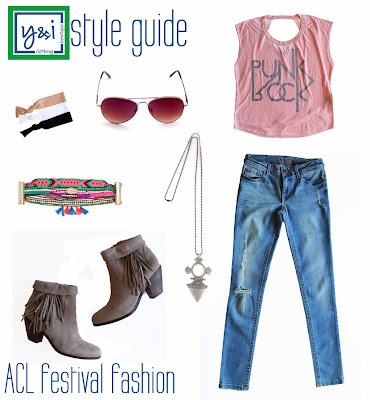 ACL Festival Fashion Guide | Shop the Look! The ideal look for warmer festival days: A bright and bold knit mini skirt, relaxed fit tank and ankle booties. Accessorize with bohemian designer, Vanessa Mooney jewelry and a concert perfect cross-body bag by Deux Lux for the perfect look! For a slightly cooler day, it's time to bring on the denim! We love the perfectly worn DL1961 Amanda Skinny style shown here paired back to our Signorelli Punk Rock Tee. Add our fringe booties, Vanessa Mooney statement necklace and HiPanema bracelet for an outstanding ensemble. Don't forget ACL necessities, aviator sunglasses and a plethora of Twistband hair ties!